2018 was an exciting year for smartphone enthusiasts. We saw the beginnings of nearly bezel-less designs, multi-camera innovations, computational photography techniques to make handheld long exposure practical, ridiculously fast wired charging, the reintroduction of wireless charging into the mainstream, and so much more. Android smartphones have so many features to differentiate them, but they’re all still powered by chipsets from either Qualcomm, HiSilicon, Samsung, or MediaTek. Most Android flagships in 2018 were powered by the Qualcomm Snapdragon 845, but in 2019 they’ll mostly be powered by the Qualcomm Snapdragon 855. Although the new Qualcomm mobile platform was announced back in December during the Snapdragon Tech Summit, Qualcomm waited until CES 2019 last week to let us benchmark the Snapdragon 855. We expect that many of our readers are looking forward to these benchmark results. After all, the Qualcomm Snapdragon 855 will very likely be used in devices like the Google Pixel 4, LG G8, Samsung Galaxy S10, OnePlus 7, Xiaomi Mi 9, Sony Xperia XZ4, and much more. How will each of these devices handle graphically intensive mobile games? How quickly can these devices churn through AI workloads? How will these devices compare to smartphones powered by the Kirin 980 such as the Huawei Mate 20, Honor View 20, and upcoming Huawei P30? Although we can’t answer how an upcoming device with the Snapdragon 855 will perform in a game like PUBG Mobile or Fortnite, the benchmarks we’ve done should give you a good idea about how the new Snapdragon 855 compares in performance to the Snapdragon 845 and Kirin 980 platforms. For a detailed overview of the HiSilicon Kirin 980, please read this article. For more details on the Qualcomm Snapdragon 855 mobile platform, read our first details article and our deep-dive article. Source links for each benchmark can be found at the end of the article. *Qualcomm pre-installed several benchmarks on the Snapdragon 855 reference devices. These benchmarks were modified from the Play Store versions to not upload data to the cloud. Some of these benchmarks are out of date compared to the Play Store versions. **Trial data could not be obtained due to limited time. ***Qualcomm provided us a set of expected benchmark scores based on their own testing. We used this for reference only. Qualcomm did not provide any reference results for 3DMark. Since PCMark measures system performance, it’s not surprising to see the polished Google Pixel 3 XL software slightly outperform the nearly-AOSP software on the Qualcomm Snapdragon 855 reference device. In our interviews with Travis Lanier, Gary Brotman, and Ziad Asghar from Qualcomm, we talked about the difficulties of benchmarking AI performance. Regardless, Qualcomm used publicly available AI benchmarks in their marketing for the Snapdragon 855. Qualcomm claims the Snapdragon 855 offers a 3-fold improvement in AI performance over the Snapdragon 845. Depending on what AI benchmarks/ANN models you use, the Snapdragon 855 definitely offers a substantial AI performance improvement if taking advantage of HVX. Unsurprisingly, the CPU performance of the Snapdragon 855 isn’t that much better than the Kirin 980. Both platforms use ARM Cortex-A76 and ARM Cortex-A55 CPU cores, although Qualcomm customizes them a bit and both platforms have different core cluster configurations and clock speeds. 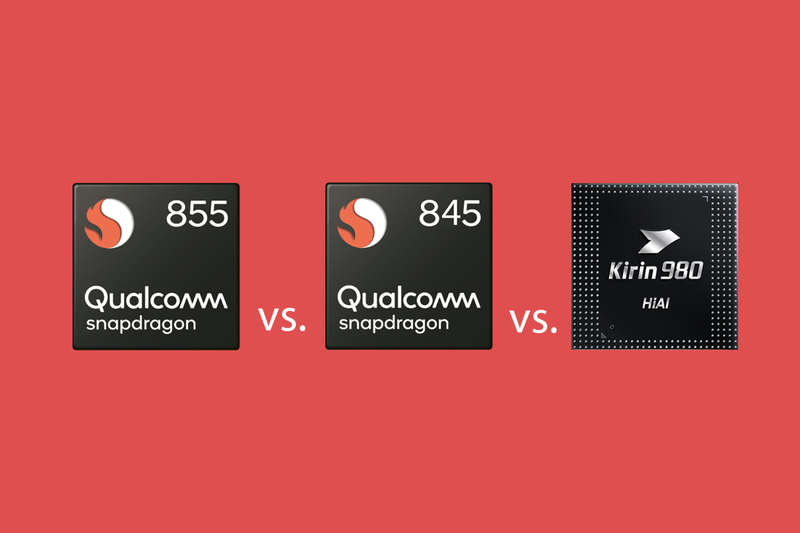 Qualcomm’s custom Adreno 640 GPU in the Snapdragon 855 trounces the ARM Mali-G76MP10 GPU in the Kirin 980 platform. Even the Adreno 630 GPU in the Snapdragon 845 outperforms the Kirin 980’s GPU. We didn’t get a chance to test real games, but from these results, the Snapdragon 855 should be the better platform for mobile gaming. Feature image by Max Weinbach. Explanations for each of the benchmarks were provided by Mario Serrafero. Mario Serrafero also assisted with analysis of the benchmarking results.